Ram Chandra Manjhi, a stellar Naach artist who also worked with Bikhari Thakur (1887 – 1971), the renowned Naach artist remembered as a social reformer, has been honoured with the Sangeet Natak Akademi Award 2017 in the folk theatre category. The move has been welcomed by many artists, academicians, and social and political activists; felicitations have been pouring in from across the country. Many see this as akin to honouring Bikhari Thakur and his legacy. With a dozen plays and hundreds of songs in Bhojpuri, Thakur was one of the most well-known and well-loved Naach artists. He is also remembered for his politics, and for his contributions as a social reformer. For instance, a couple of decades ago, poor landless peasants with little to their name would resort to “selling” the young girls in their families to the zamindars, all of whom were inevitably upper castes, in exchange for some remuneration. The practice was quite rampant. Thakur, through many performances, led a campaign against the practice and managed to change the discourse around the issue. “Girls used to be sold in local markets in Bihar. There’d be rows of girls and people would inspect them, like cattle. 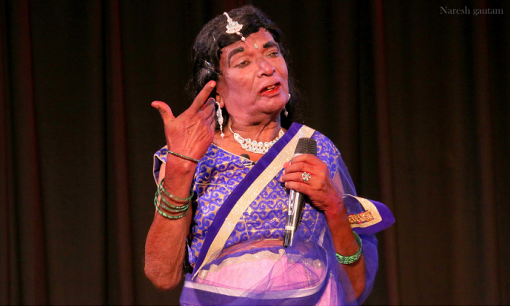 Then Bikhari Thakur wrote Beti Bechwa and selling daughters started being prohibited”, recalls Shivlal Baari, another member of Thakur’s troupe, in the documentary Naach Bikhari Naach. 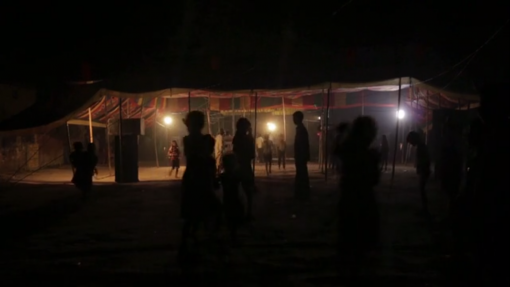 Naach — which is often confused with simply “dance” because of lack of awareness and a simplistic translation of its name — is a form folk theatre of Bihar. Primarily an oral tradition, much of the history of its origin is sketchy. It is traditionally performed by members of the scheduled caste communities with an all-male ensemble. Even the female roles are played by men. While most of its audience is still primarily Scheduled Caste communities, the upper castes aren’t entirely cut-off from the tradition. The are patrons — sometimes they commission Naach troupes, or organise performances for important functions and celebrations, or pay the artists. For this reason, this form is often referred to as “Launda Naach”, launda being a derogatory term used by the upper castes to refer to the men from lower castes . More and more, however, Launda Naach artists are reclaiming the word “launda”. “Because it is performed by lower caste communities, it is seldom counted among Bihar’s ‘traditional’ art forms, which mostly include art forms practiced by the upper castes. Naach artists haven’t got the respect and recognition that they deserve”, explains Dost. A theatre practitioner himself, Dost is currently a PhD scholar at Jawaharlal University in the School of Arts and Aesthetics and has worked with, and done extensive research on, the Naach tradition in Bihar. Ram Chandra Manjhi bade, as he is fondly known, is from a small village in the Chhapra district of Bihar. Born in a dalit family, he started training and working with Bikhari Thakur’s Naach troupe when he was a mere 12 years old. But this wasn’t his first time as a Naach artist. He had started training before that with Dinanath Manjhi’s troupe, another Naach troupe from his own village. But it is only after he joined Bikhari Thakur’s troupe that he learnt, honed, and achieved unparalleled excellence in his dancing, singing, and acting skills. Of course, being in Bikhari Thakur’s troupe came with its own share of fame. 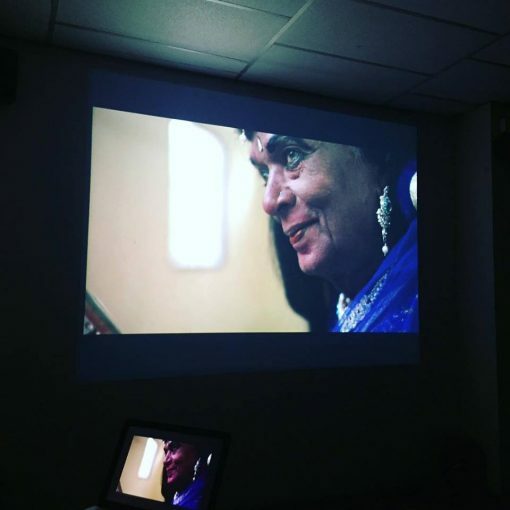 Shilpi Gulati — an independent documentary filmmaker whose works, broadly speaking, deal with gender, identity, and oral narratives of regional communities — and Jainendra Dost’s documentary, Naach Bikhari Naach explores the role of caste and how it plays out vis-à-vis Naach artists quite beautifully. For instance, Pinki — Ram Chandra Manjhi bade’s granddaughter, who lives with him in the village and takes care of him when he is home,talks about how everyone in the village recognises him. But she’s also never watched him perform, and neither has anyone else in his family. This is because Naach performances are still considered a “low” form of theatre, unsuitable for “respectable folks”. 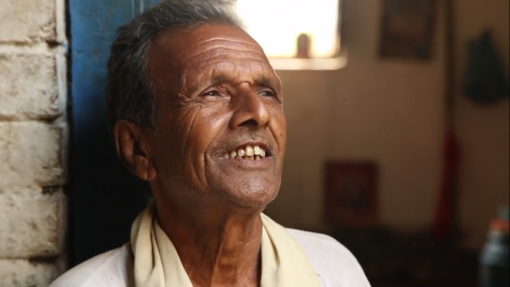 Ram Chandra Manjhi bade maintains that he has never hosted any of his fellow artists in his house. 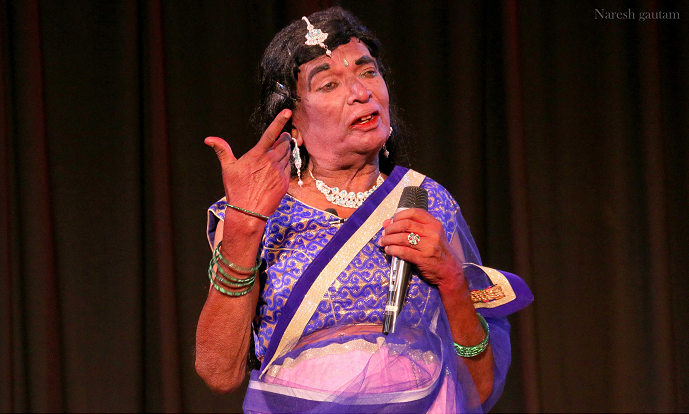 The documentary includes interviews with Ram Chandra Manjhi bade, Ram Chandra Majhi chhote, Shivlal Baari, and Lakhi Chand Manjhi (the last four surviving Naach artists to have worked with Bhikari Thakur) as they reminisce about their time with Thakur’s troupe; scenes from their performances; and follows them as they go about their day. The documentary is also important because there is hardly any documentation on Bikhari Thakur. Despite his popularity, there are no photographs or archival footage of Bikhari Thakur’s. The documentary explores Bikhari Thakur’s legacy, Naach as a tradition, and the role that caste plays in this form of theatre. After Bikhari Thakur’s death in 1971, his troupe disbanded in a couple of years. Through Dost’s efforts, the members were brought together and Thakur’s plays and songs were revived. The troupe was officially registered in 2015 and is now known as the Bikhari Thakur Repertory, Training and Research Centre, with Dost as its Director. The repertory is relentlessly working towards continuing and spreading Thakur’s legacy. In fact, Dost and Ram Chandra Manjhi bade will be performing Bikharinama, a play on Bhikari Thakur’s life, in Kathmandu, Nepal on 24 June 2018. 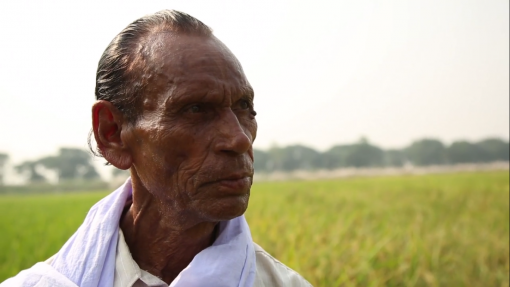 Ram Chandra Manjhi bade is the oldest among the four surviving members who worked with Bikhari Thakur. According to his voter ID, the only official document with his birth date, Ram Chandra Manjhi bade was born in 1930. But he estimates that he has now completed 93 years of age. 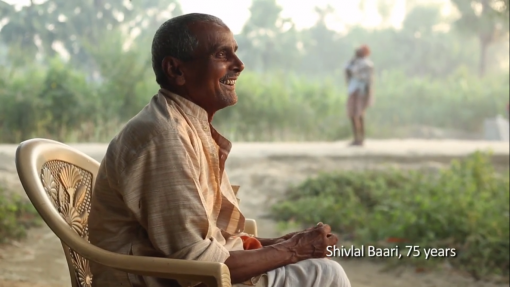 Despite his age, he continues to perform Bikhari Thakur’s songs and plays quite regularly. In his career, spanning over 70 years, his performances have been attended by Moti Lal Nehru, Jawaharlal Nehru, Indra Gandhi, Rajiv Gandhi, Jagjivan Ram, Jaiprakash Narayan, Lalu Prasad Yadav, Nitish Kumar, Rabdi Devi, Sharad Yadav, Ramvilas Paswan, and Daroga Prasad Rai, among others. It is a true testament to Dost’s untiring efforts that Ram Chandra Manjhi bade’s contributions to folk theatre have been recognised by the Sangeet Natak Akademi. Naach Bikhari Naach will be screened on 10 July 2018 at 7 pm, Gulmohar Hall, India Habitat Centre to commemorate Bikhari Thakur’s 47th death anniversary.